Everywhere you look these days automakers scramble to put together their own autonomous vehicle program and ’lead the change.’ Just recently I was reporting on Uber’s desire to begin testing their autonomous Volvos again – and that’s not even a car company. 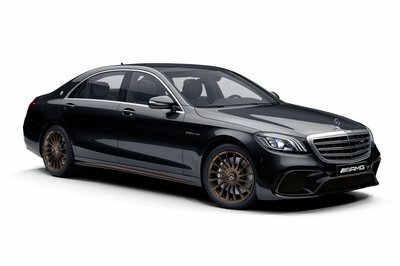 Now, Daimler wants to introduce its own ride-hailing service, and it will use Mercedes-Benz S-Class models as its test beds. The two German giants plan to deploy the pilot program as early as the first half of next year. 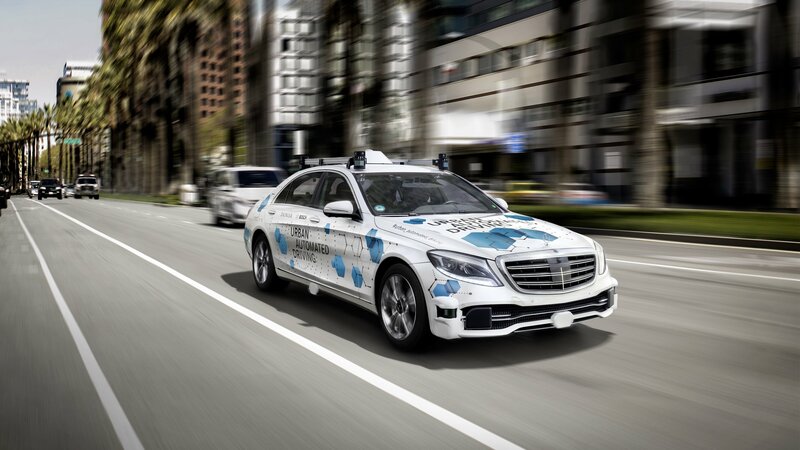 The Mercedes S-Class models, which will be equipped with Level 4 or Level 5 automation, will be deployed on the streets of San Jose, California. Daimler Mobility Services is currently working on an app for your mobile phone which will allow you to summon a self-driving S-Class so you too can experience the joys of being driven around without having to put up with a driver asking you annoyingly personal questions. Mercedes is on a roll with electrified cars lately, especially after the launch of the new EQC. 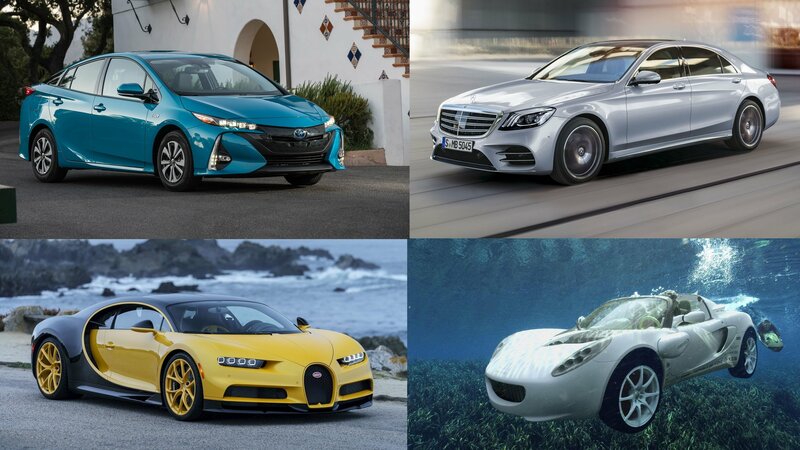 While the long-term plan is to have electric cars on the market, the German automaker’s portfolio in the foreseeable future includes hybrids and plug-in hybrids. 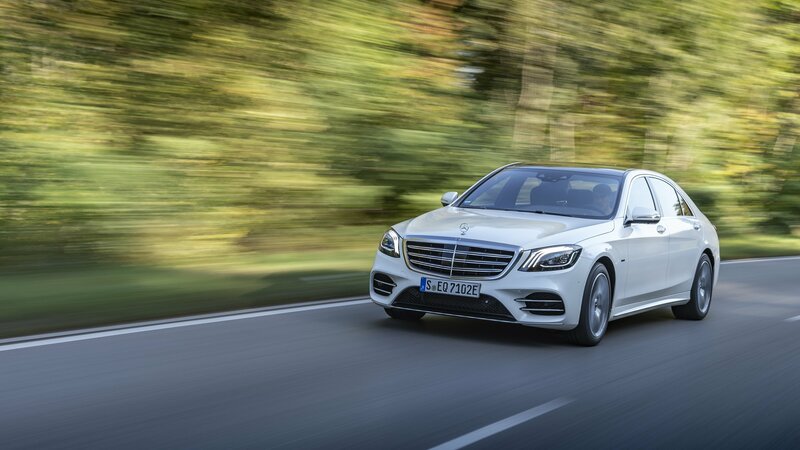 To cap it off, Mercedes has launched the S560; in Europe for now. 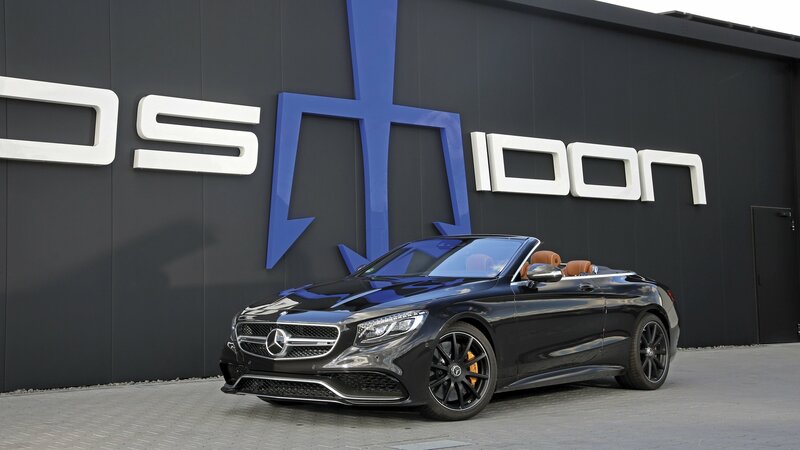 The Mercedes-AMG S 63 Cabriolet was on the receiving end of an extensive tuning upgrade courtesy of Posaidon. The German tuner’s program was developed for the pre-facelift version of the AMG S 63. It’s the same model that uses AMG’s old 5.5-liter twin-turbo V-8 engine, which produces 577 horsepower and 664 pound-feet of torque. 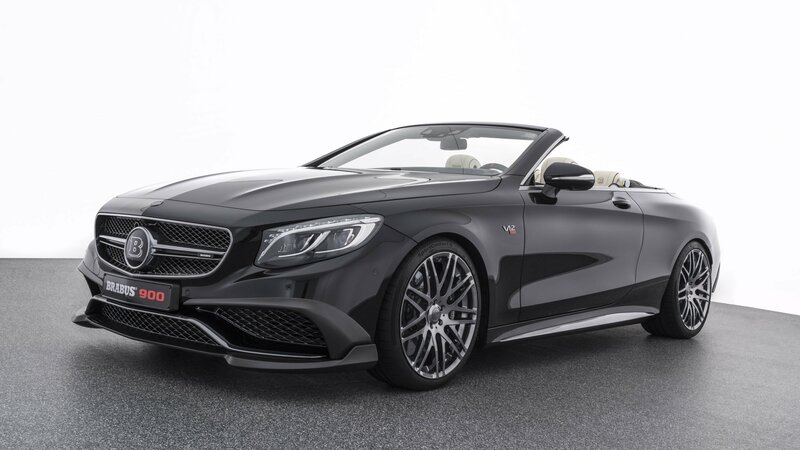 With the upgrades in tow, the AMG S 63 Cabriolet is now able to produce a whopping 1,005 horsepower and 1,033 pound-feet of torque. 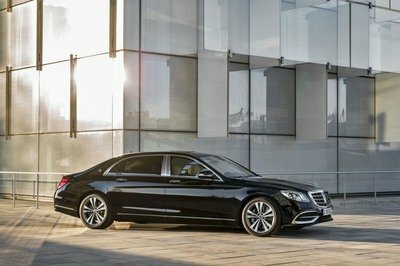 The Mercedes S-Class is regarded by some as the Pinnacle of all luxury Saloons. It’s got the style, luxury, technology (and the price tag) to find itself in the hands of those who refuse to settle for anything but the absolute best. Technology is a big part of this, and the S-Class has plenty of it, making even something as simple as a seat complex and beyond functional. 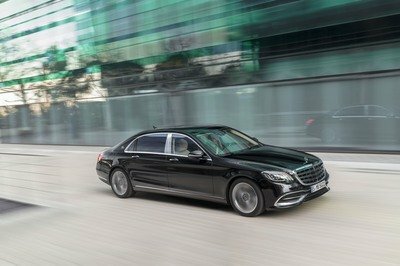 With the most recent facelift of the S-Class, Mercedes took technology to a whole new level, and the seats got their own dose of upgraded technological goodness, leaving some to wonder just what the hell is beneath the skin. After all, the seats of the S-Class perform quite a duty. They have heating and ventilation, adjustable back and lumbar support, and there’s even some active and passive safety features all encased under all of that plush leather. That’s cool and all, but have you ever wondered what’s really under there? To perform all of these various functions, there have to be fans, airbags, motors, and heating elements, right? Well, you could say there’s a lot, and since What’s Inside got their hands on an S-Class seat, you can see all of it for yourself without tearing into a seat that will probably cost you $10,000 to replace. 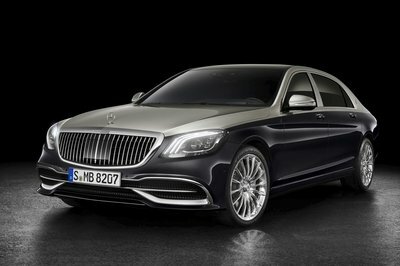 If Maybach is the top of the luxury Mercedes pyramid, then the Pullman models are the cap stone. These things just ooze opulence from every pore, and now there’s a new one sporting a restyled front end, new interior color schemes, and the latest audio entertainment features, all packed into more 20 feet of baller automobile. Continue reading to learn more about the 2018 Mercedes-Maybach Pullman. 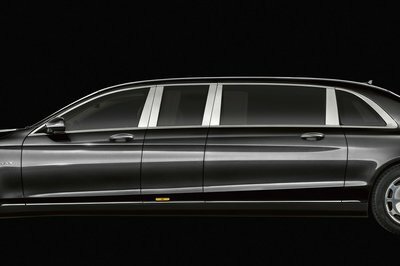 In case you were unaware, the 2019 Mercedes-Maybach Pullman is a true chauffeur-driven limousine model. Viewed head on, it looks like a traditional S-Class, but take one step to the side, and you’ll discover this thing is stretched out to an impressive 6.5 meters (21.3 feet) in length. New for the 2018 model year, the Pullman gets an updated radiator grille insert with polished vertical slats. Merc says the grille was inspired by a pinstriped suit, and the aesthetic was fist previewed in the Vision Mercedes-Maybach 6 concept coupe that dropped back in 2016. In the corners you’ll find large 20-inch wheels, which, on any other car, would look enormous. However, on the Merc, the rollers looks just right, especially with their broad 10-hole design, something that’s characteristic of the Mercedes-Maybach brand. Outside, the paint hues can be had with the same two-tone finishes seen on the non-limo’d Maybach S-Class. Customization options are plentiful here if you wanna mix it up even further. There’s also new color combinations for the interior appointment, including magma grey, mahogany brown, and a silk beige/deep sea blue. Step into the cabin, and you’ll find a “club lounge” layout that’s on par with the finest luxury hotels out there, and as many as four passengers will find accommodations. There are several standard features that make the Pullman a beacon of comfort and opulence, including twin executive forward-facing seats. The leather upholstery gets a quilted finish, as well as massage functions, heating and ventilation, and a rising foot rest as well. There’s also an electrically operated partition screen that separates the driver from the rear seating area. Interestingly, Mercedes added a new front-view camera that allows those in the back to watch the traffic status even when the partition is closed. Finally, there’s a “2 cabin sound” feature for the stereo, with independent controls added for the front and rear passengers, thus allowing for a custom music selection depending on where you’re seated. And of course we can’t forget the twin-turbo V-12 under the hood. This lump makes as much as 621 velvety-smooth horses, which is quite a lot of muscle, but considering this thing is about as heavy as a battleship, it still takes as much as 6.5 seconds for it to reach 60 mph. Pricing for all this luxury starts at roughly half a million euros. Order books are open now. 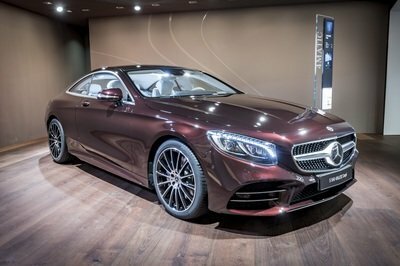 Unveiled in 2015, the current Mercedes-Benz S-Class Coupe market the return of the company’s flagship two-door model after quite a few decades. The coupe was joined by a convertible model too, which gave Merc a big advantage over automakers like BMW and Audi, which didn’t and still don’t have similar offerings. Three years later and both models have gone through a mid-cycle refresh. At the 2018 Geneva Motor Show, both cars received an Exclusive Edition package. As with most limited edition packages usually shown at auto shows, the Exclusive Edition adds a number of extra standard features inside and out. Some exclusive equipment is also on the table, but nothing you can’t buy via Designo for other models. 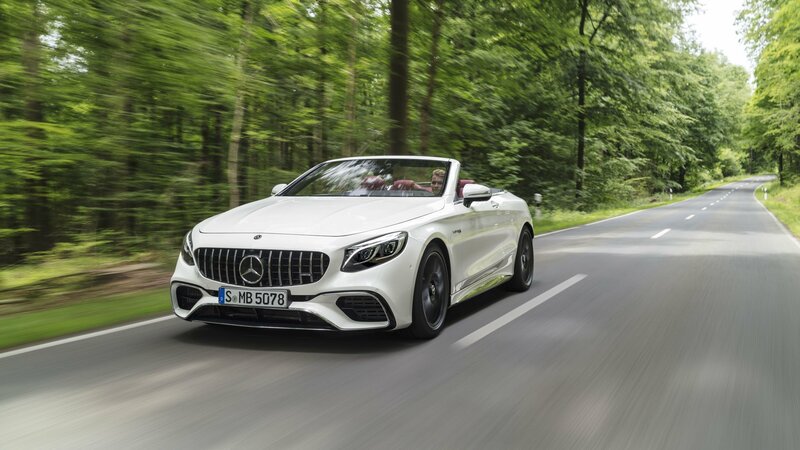 But the features that came with the facelift plus the extra from the Exclusive Edition package give a nice twist to the S-Class Coupe and Cabriolet and make them a bit more appealing to customers who want more than a standard model. Let’s find out more below. 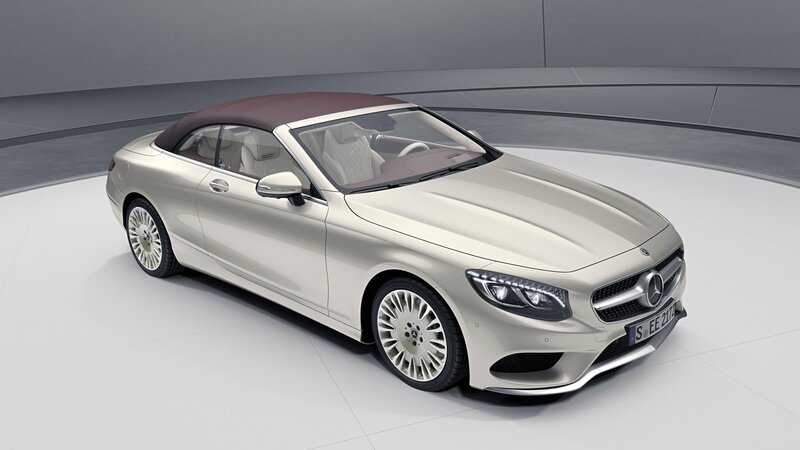 Continue reading to learn more about the Mercedes S-Class Coupe and Cabriolet Exclusive Edition. The Exclusive Edition model is a rather subdued package, so don’t go looking for something extraordinary on the outside. Sure, these cars come with the LED Intelligent Light System with Swarovski crystals as standard, but it’s not like they change the front end’s appearance in any way. There are two exclusive exterior colors though, Aragonite Silver and Rubellite Red. These are paired with soft-tops in either dark red or beige for the convertible model. Finally, the 19-inch, multi-twin-spoke wheels are available in either Aragonite Silver or two-tone Himalaya Grey / Thulium Silver. Go with the AMG Line upgrade and rims grow to 20 inches and are finished in black with a high-sheen finish. More extra features were added inside the cabin, starting with the “Exclusive Edition” lettering on the cup holder cover on the center console. There’s also a special light brown high-gloss sen, an Asian hardwood you don’t see too often in cars. The Burmester audio system is standard for the ultimate audio experience. Further customization is possible with the Exclusive package, which adds seats in Designo Exclusive Nappa leather in Porcelain / Titian Red or Porcelain / Expresso Brown with contrasting stitching piping. There’s also diamond design seat upholstery, similar to what you get in British luxury cars, and Nappa latter on the front and rear center armrests, the top of the dashboard, and center door panels. The roof line comes in Designo specifications with Dinamica microfiber. The special floor mats with trimmed edges in either Titian Red or Porcelain and the illuminated door sills with “Mercedes-Benz” lettering round off the interior. The drivetrains are as standard as they get, so you can choose between two engines for the non-AMG models. First up is the 3.0-liter V-6 mill rated at 367 horsepower and 368 pound-feet of torque, which enables the coupe to hit 62 mph in 5.5 seconds (a tenth-second slower for the Cabriolet). More oomph comes from the S560 version, which uses the familiar 4.0-liter V-8 that’s good for 469 horsepower and 516 pound-feet of twist. With this engine, charging from 0 to 62 mph takes 4.6 seconds. 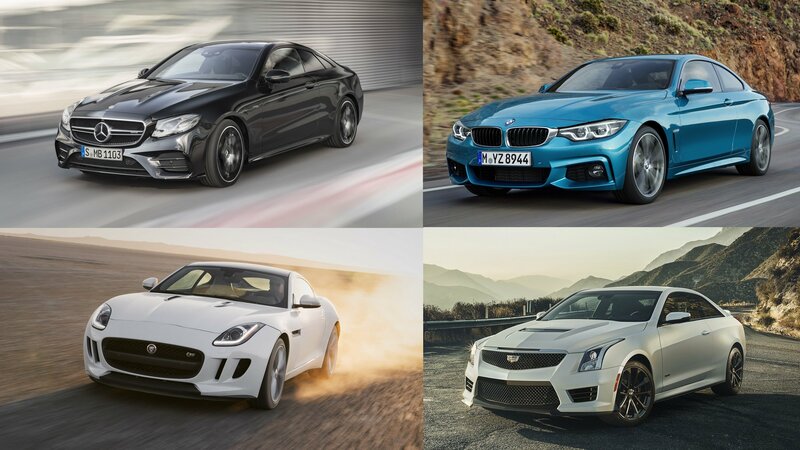 Top speed is limited to 155 mph for both the coupe and the convertible. 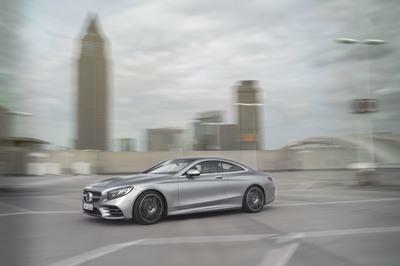 Read our full review on the 2018 Mercedes-Benz S-Class Coupe. 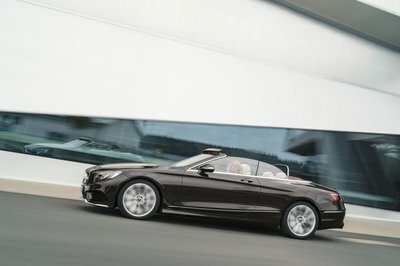 Read our full review on the 2018 Mercedes-Benz S-Class Cabriolet. We’ve come a long way since the days of using lanterns to light the roads in front of us. Halogens are still around but have generally been replaced by projectors, HID, LED, and laser systems. 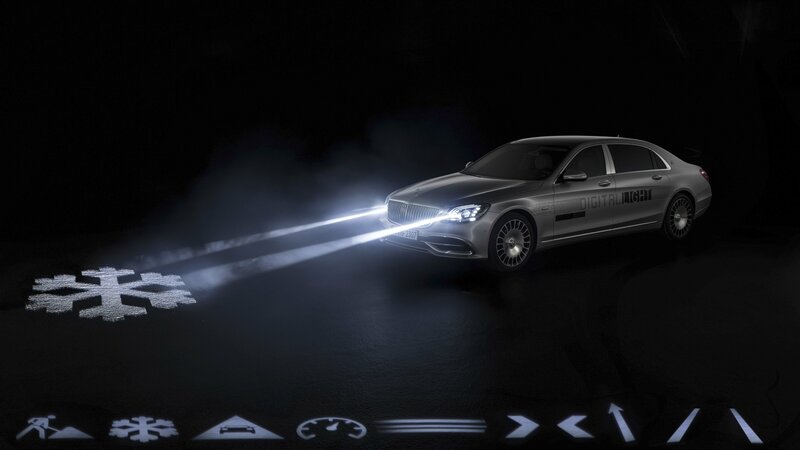 Now, Mercedes takes it a step further with the S-Class Digital Light, a model that features a new, high-definition headlight projection system that can display messages in real time on the road ahead. We’re talking about warnings about pedestrians, construction zones, distance to cars ahead of you, and even blind spot notification. It seems futuristic and even a little implausible, but Mercedes says there is a small production run that will be heading to selected fleet customers within the next few months. How do the Mercedes-Maybach S-Class Digital Lights Work? According to Mercedes, the new digital light system displays one million pixels per headlamp. And they do so thanks to over one million micro-reflectors. Camera and sensor systems monitor the road ahead to detect oncoming traffic and obstacles, then adjusts the lights as needed. 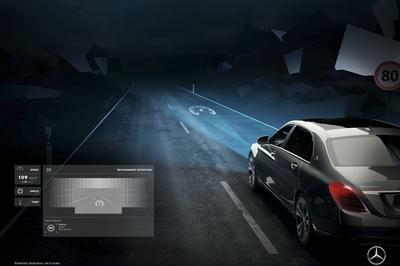 They will adjust to prevent blinding other drivers on the road, display lines to help navigate through narrow construction sites and, according to Mercedes, offer higher precision than Multibeam LED headlamps. Apparently, the lights adapt in a matter of milliseconds. Are Mercedes-Maybach S-Class Digital Lights Legal? As of the time of this writing, the lights aren’t technically legal. This technology, like any other technology, must be approved by the department of transportation of any market for which they will be offered. Mercedes says that the capability of approval is currently being reviewed, so for now, don’t expect to see these things actually operating on the road. Furthermore, they may never be available in certain markets should they not receive the necessary approval for on-road use. 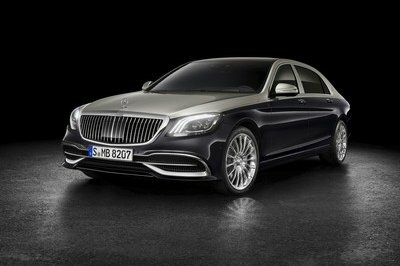 Read our full review on the Mercedes-Maybach S-Class. Mercedes’ up-and-coming four-door limo is hitting the streets early, this time to test out the German brand’s latest headlight technology. 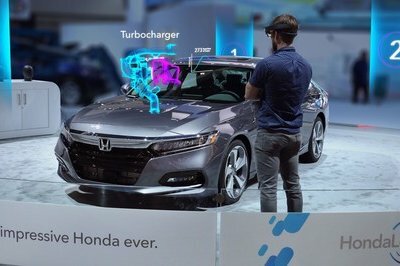 The large-and-in-charge luxury sedan was recently caught prowling the public streets emblazoned with a set of side graphics proudly declaring “Digital Light,” so it’s not exactly a secret Merc is pushing to get this tech into the hands of customers as soon as possible. 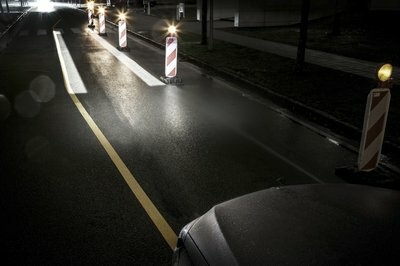 The “Digital Light” system first broke cover early last month, with Mercedes proclaiming a litany of benefits to safety. For example, the headlights can project road signs directly onto the road, like a stop sign at an intersection, providing an extra reminder to the driver and others. 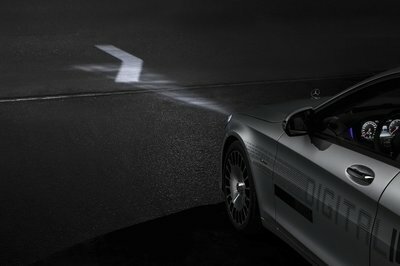 The headlights also provide the usual adaptive features, identifying other cars on the road and changing the beam pattern to refrain from dazzling oncoming motorists. The system will even modify the beam to keep it out of the eyes of pedestrians. To accomplish this, each headlight in the S-Class will use more than a million “micro mirrors,” each of which helps to refine the headlight beam as needed, while a system of outboard cameras and radar systems scan the road for traffic signs, cars, and pedestrians. 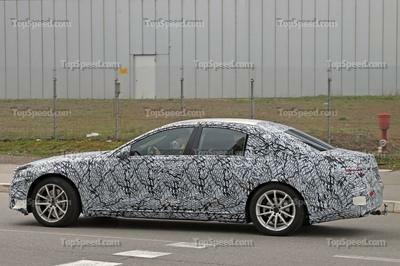 In addition to the updates to the new HD headlights, the S-Class will also get a pair of new taillights, although they won’t be nearly as tech-heavy as the lights up front. Unfortunately, it’s uncertain whether or not the Digital Light tech will make it stateside, as outdated legislation could prevent it from being sold here, much like old adaptive headlight technology. Either way, look for it to hit dealers in Europe as soon as 2020. Welp, it’s that time of year again. Late December triggers the mass migration season for the majority of humans residing in North America, and that means the roadways will be clogged in every direction with stressed families clinging to the final shreds of their holiday cheer. But fret not, because it doesn’t have to be that way. Indeed, this travel season could actually be quite enjoyable, if you’ve got the right ride to ferry you to and fro, that is. 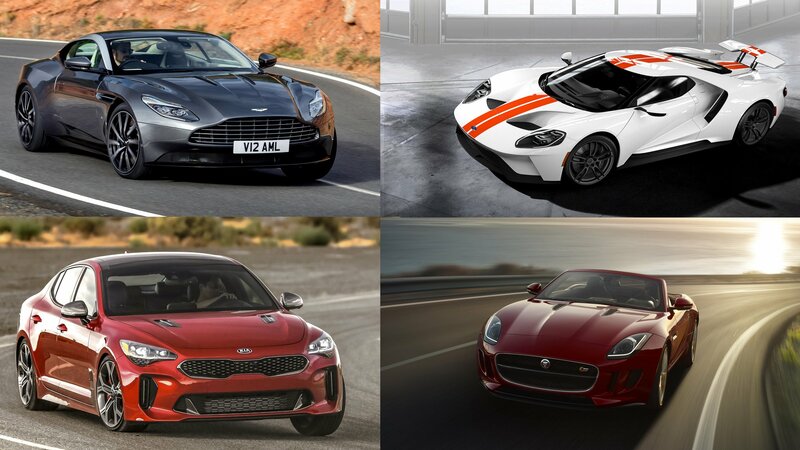 As such, we’ve put together the following list of vehicles we think are perfectly suited to tackle the long holiday travel. To make the most of it, we threw in a variety of picks for whatever your preferences might be. Granted, most of these are a bit on the pricey side, but hey, if you want the best, you’re gonna have to pay for it. Of course, the bank account can take a beating this time of year, so if you’re a bit strapped for cash, then no worries – we’re kicking it off with something relatively accessible. Continue reading to learn more about TopSpeed’s Top 5 Picks For Long Holiday Travel. Yeah, yeah, we know – there’s more than a few of you out there that are balking at the addition of anything Prius to any list, ever. Unless, of course, that list catalogs the worst automotive styling ever, amirite? Haw haw. 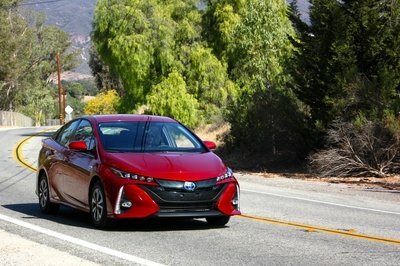 But here’s the deal – the Toyota Prius Prime is actually pretty damn good at what it was designed to do; that is, getting you from A to B comfortably and efficiently, and that’s exactly why we added it here. Powered by a 1.8-liter hybrid four-cylinder, the Prime won’t be snapping any necks with its acceleration, but it will return a mighty 54 combined mpg, which means you’ll be ticking off the miles with the best of ‘em. What’s more, the interior spec is quite nice, complete with tons of tech, a splash of luxury, and an undeniably cool sci-fi vibe. Hell, thanks to its independent rear suspension, it isn’t a total turd in the corners, either. Read our full review on the 2017 Toyota Prius Prime. While still billed as a system that’s in development and not suitable for taking away complete on-road responsibility, Tesla’s Autopilot feature is still one of the most advanced autonomous technologies on the road, if not the most advanced. Indeed, if you simply can’t wait to participate in our inevitable autonomous future and wanna get in on the ground floor of robot chaufferism, then the Tesla Model X is a great option. 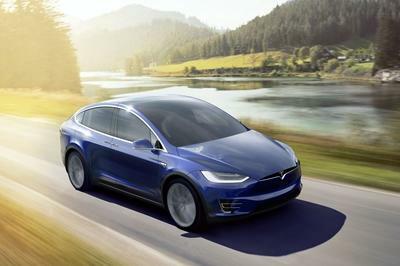 In addition to assisting with the tedious driving bits, the Model X also has the space to bring the whole family, with three bench seats and spots for seven passengers total. Leather upholstery keeps it comfy, while a full spread of infotainment features keeps the boredom at bay. Go for the biggest battery option, and you’ll get upwards of 289 miles of range-per-charge as well – definitely enough to over the river and through the woods, as it were. If you’ve got the right car, it won’t matter how long the trip might be, because you’ll be at ease regardless. 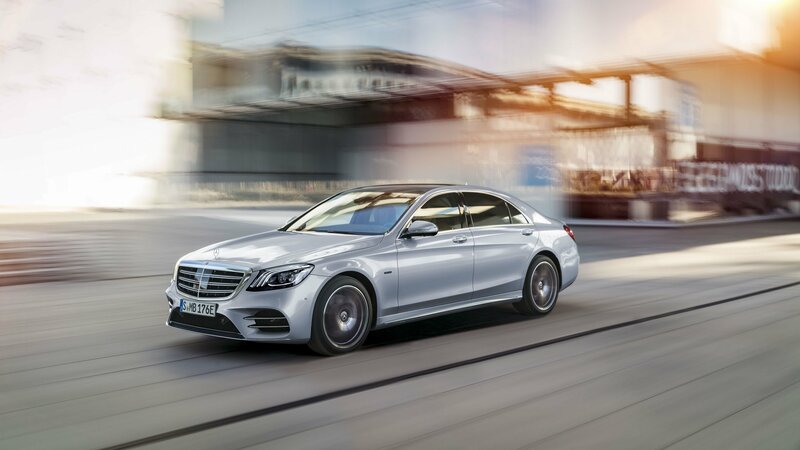 Enter the Mercedes-Benz S-Class, a solid slab of four-door German engineering that perfectly exemplifies the idea of moving about in luxury and style. If you’re lucky enough to find yourself in one of these things, you’ll have just about every comfort of home at your disposal, assuming you live in a penthouse suite, that is. Sumptuous leather upholstery is everywhere, with brushed metal and high-quality wood trim to match. Individual infotainment screens take up residence in the seat backs, while the Rear Executive Lounge Seating provides more room than some apartments I’ve lived in. And with up to 463 horsepower and 516 pound-feet of torque on tap, the S-Class has the right stuff to get you there early, if desired. For best results, please add one (1) hired driver. 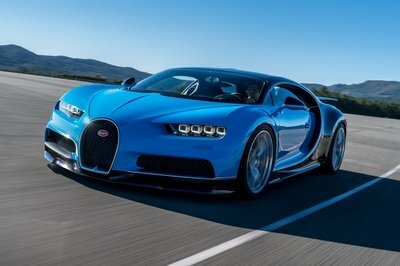 If you’re looking to significantly cut down on that travel time, there’s always the option to just go faster, and few four-wheeled vehicles embody that philosophy quite like the Bugatti Chiron. In terms of specs, this multi-million dollar eater-of-worlds has some of the craziest. In the middle of the machine, Bug planted an 8.0-liter W-16 gasoline engine, which gets boosted by a whopping four turbochargers. Peak output comes to an incredible 1,479 horsepower and 1,180 pound-feet of torque, good enough to propel the Chiron to 60 mph in just 2.5 seconds. Top speed is rated at over 260 mph. Yep, making it there on time for dinner shouldn’t be an issue with the Chiron. So it’s quick, that much is obvious. What’s more, the Chiron offers loads of AWD grip in case the roads get a little slippery. And then there’s the interior, which is just… well, look at it! Wanna beat the traffic? Simple – just go around it, or under it, as the case may be. Okay, so maaaybe we’re cheating a little bit with this one, but come on – you know you want it. 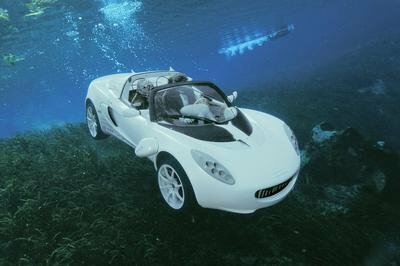 One word of caution, though – don’t rely on your standard GPS when it comes to piloting a personal submersible. We’d recommend sonar instead, plus maybe some charts and whatnot. You know, submarine stuff. Mercedes-Benz is no stranger to partnering with some of the most well-known companies in the world. Now, the German automaker is taking to the skies with Emirates Airlines in one of the most significant collaborations between the two companies since agreeing to join forces back in 2014. 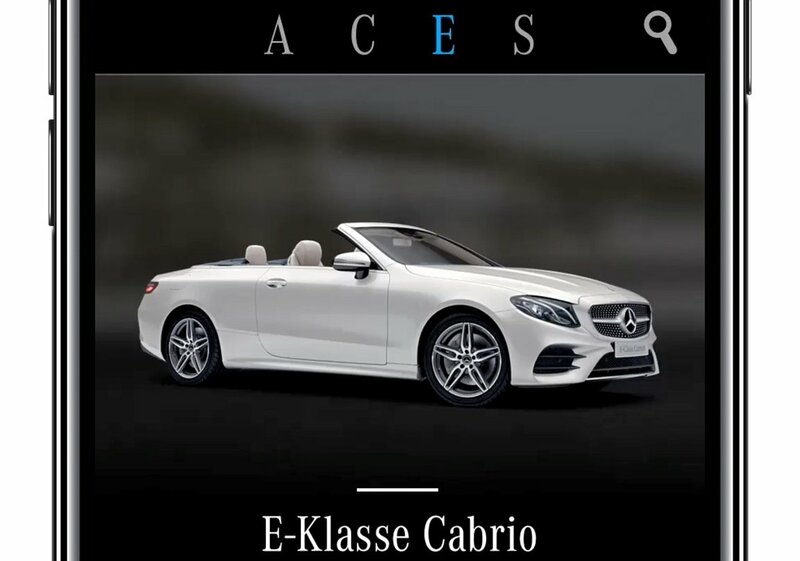 It’s hardly a surprise that the scope of the partnership revolves around Mercedes’ involvement in designing Emirates’ new first-class cabin using no less than the new S-Class for inspiration. Apparently, the results of this partnership bore fruit three years after Mercedes and Emirates designers first met to hash out the details on the scope of their work. 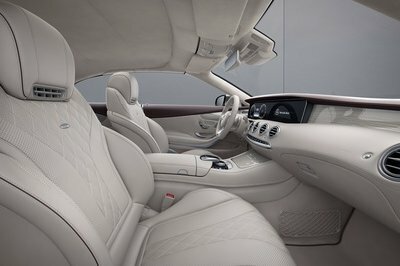 It’s a slow play, sure, but the results did end up drawing heavily from the interior of the S-Class, including the materials that were chosen, the controls that were used, and the all-around workmanship that was done to turn these enclosed suites into the closest thing to five-star hotel rooms in the sky. 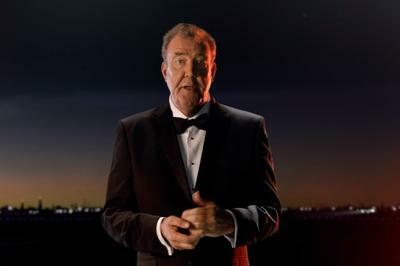 Mercedes’ work certainly caught the attention of Emirates, including president Sir Tim Clark, who described the suites as offering “unprecedented levels of privacy, comfort, and luxury.” And to cap it all off, Emirates even enlisted the services of Jeremy Clarkson, a man who himself is no stranger to hyperbole, to promote the new suites. 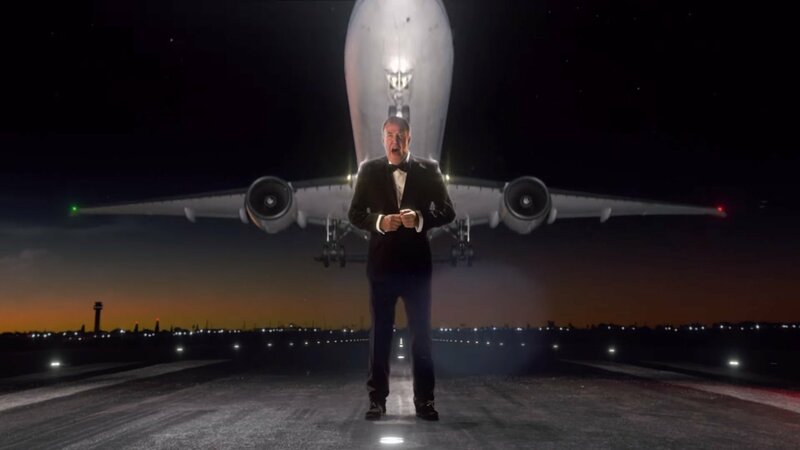 It seems like the airline made a right call on that one too because Clarkson was his usual Clarkson self in the ad, promoting just about everything he could think of, including the pajamas. So, in the event that you do end up flying first class on Emirates Airlines, remember that those suites that you’ll likely end up enjoying are the work of Mercedes-Benz.